The intent behind building Capital Lodge, temporary housing for oil industry workers located on 72 acres within Williams County, North Dakota, was to construct a superior type of crew lodge facility that exceeded the conditions of traditional man camps, according to CEO Mike Boudreaux. In 2010 the developers of Capital Lodge took note of the influx in development occurring in North Dakota, coinciding with the oil boom. And, in 2011 they started the construction of Capital Lodge. “We determined that if we were going to get into business, we were going to be the best of the best,” said Boudreaux. Capital Lodge started seeing guests the same year of construction. The crew lodge facility featured large sound-proof rooms that could hold two queen-size beds. Every room had a full bathroom, closet space, a desk, and a large flat-screen television. 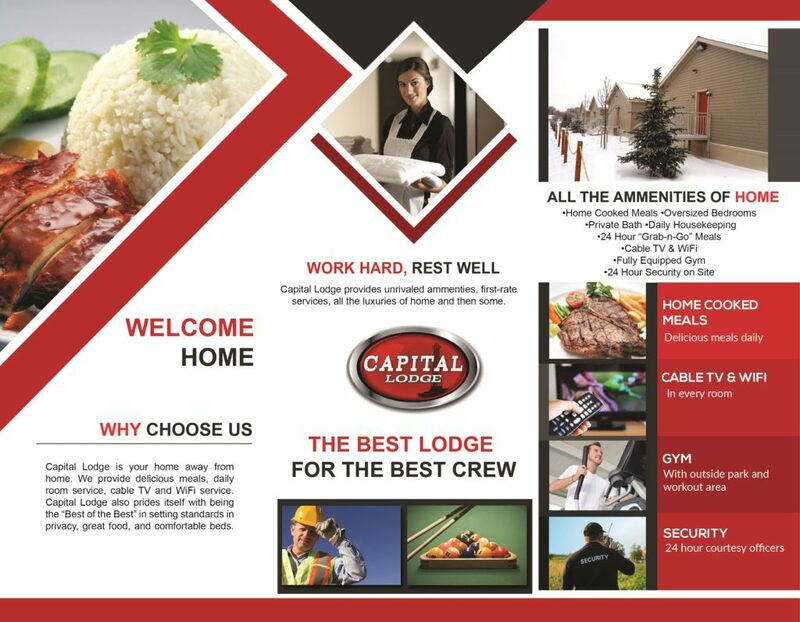 There are 120 individual buildings that comprise Capital Lodge, and each building features seven bedrooms with a separate living and kitchen. “Aside from having a very nice living accommodation, we had a state-of-the-art kitchen that provided very good, high-end food with three meals a day,” explained Boudreaux. Other amenities of Capital Lodge included a workout facility, an outdoor track, basketball courts, picnic areas, and a deck. Boudreaux said these add-ons were built so workers could experience some comfort, which paid off during peak years. Capital Lodge had 2,000 beds available at its peak. Mike Sizemore, director of development services with Williams County, provided a larger picture; estimating in 2011 there were 10,000 crew camp beds in the area. “Williston, Williams County didn’t have the housing capability to absorb all of the influx of workers,” Sizemore said in regards to why lodging facilities such as Capital Lodge were needed. But, the crew camp bed numbers declined alongside the price of oil; with as few as 150 beds available at Capital Lodge at the end of 2015, and as little as 2,000 crew camp beds in total, according to Sizemore. Low occupancy was the contributing factor to the decision to close Capital Lodge on Jan. 1, 2016. “I don’t think we’re different from any other business in North Dakota, affected by the downturn of the oil,” said Boudreaux. Williams County gauges the pulse of the oil industry by the number of permit applications, according to Sizemore, with the county starting to see a drop in those numbers within the first quarter of 2015. “The permit activity is down significantly. In 2015 our numbers are comparable to 2011, which was our fourth busiest year,” said Sizemore. 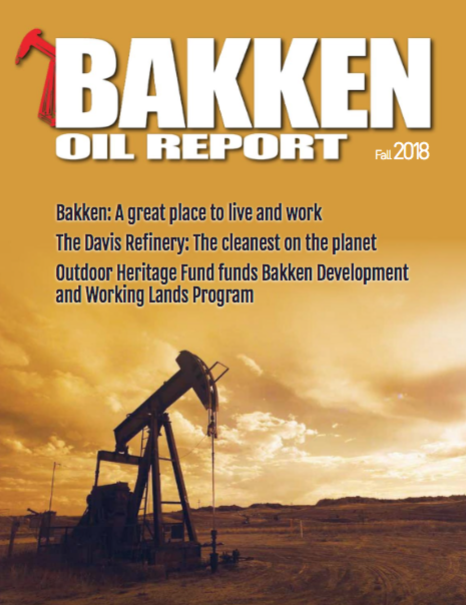 Boudreaux explained with the price of oil around $30 per barrel, comparing that to more than $100 per barrel this time last year, he cannot foresee when North Dakota will need the type of housing Capital Lodge provided previously. “It certainly won’t be this year, and we don’t think it will be next year,” he said. However, Sizemore ensured Williams County is still a growing, viable community because of the permanent population that remains. “North Dakota is still pumping, I believe, over one-million barrels a day of oil, which is pretty significant,” said Sizemore. As for the future of Capital Lodge’s structures, Boudreaux said no official decisions have been made. “We had a vision initially when we built Capital Lodge with an exit strategy to convert all of our modular buildings to potential residential homes, spreading them out, making it like a subdivision,” explained Boudreaux. Capital Lodge is located in an area zoned industrial, with a conditional-use permit for the existing facilities, according to Sizemore. “They did file an application early last year to try to convert it to a hotel and I believe some residential uses, and that was denied by the county commission,” said Sizemore.